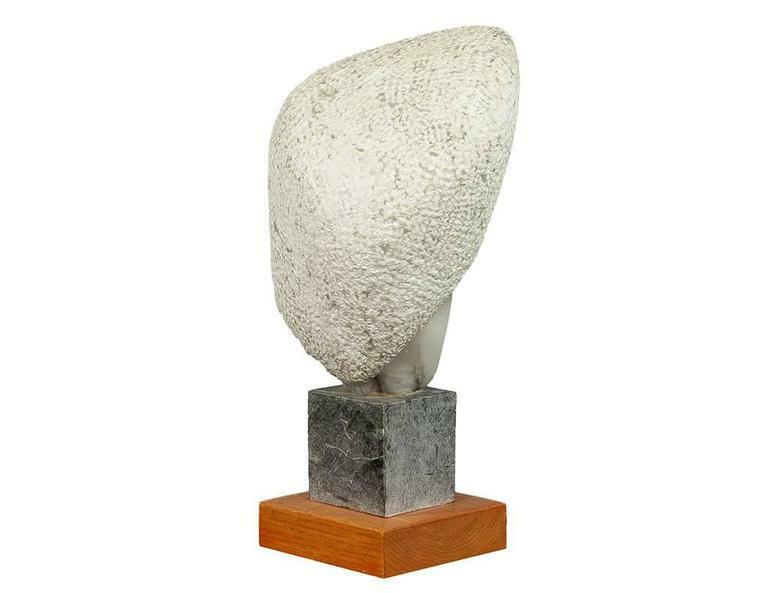 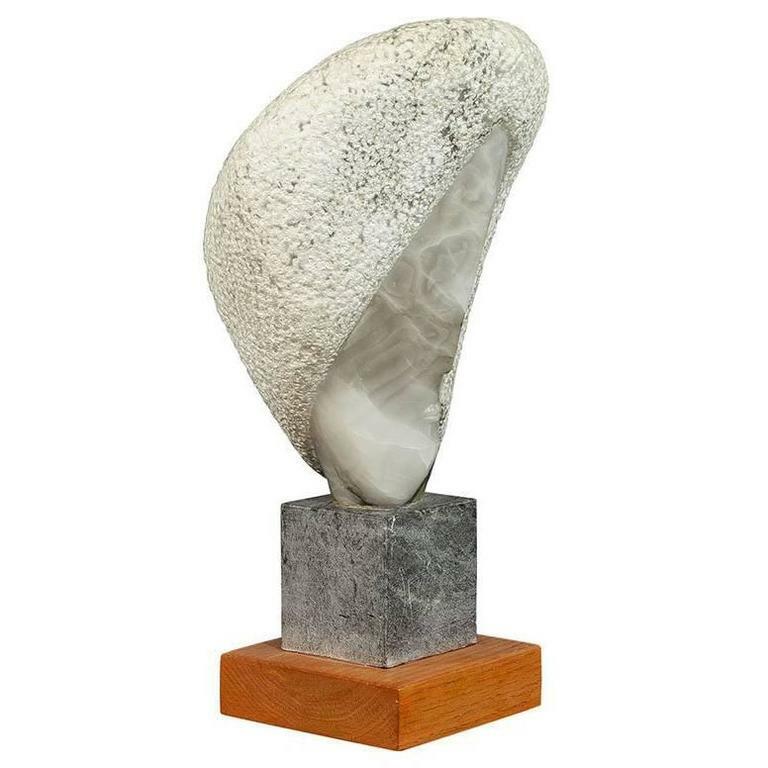 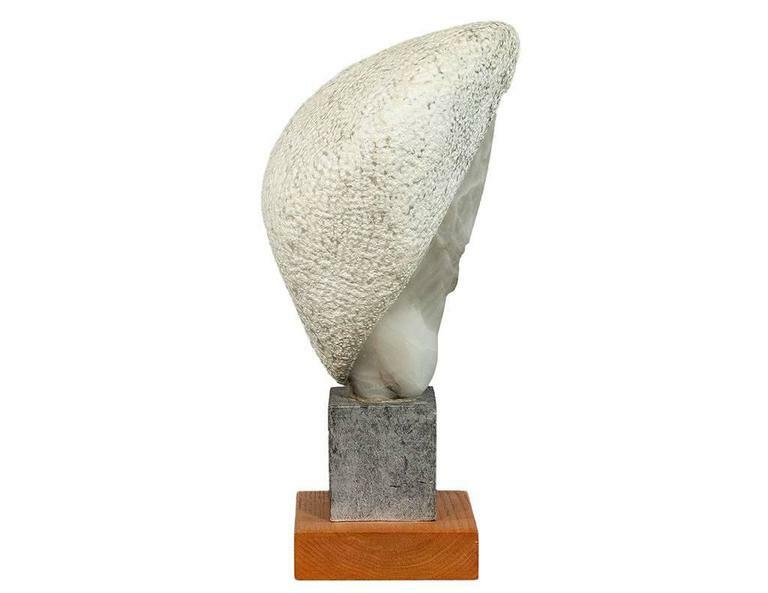 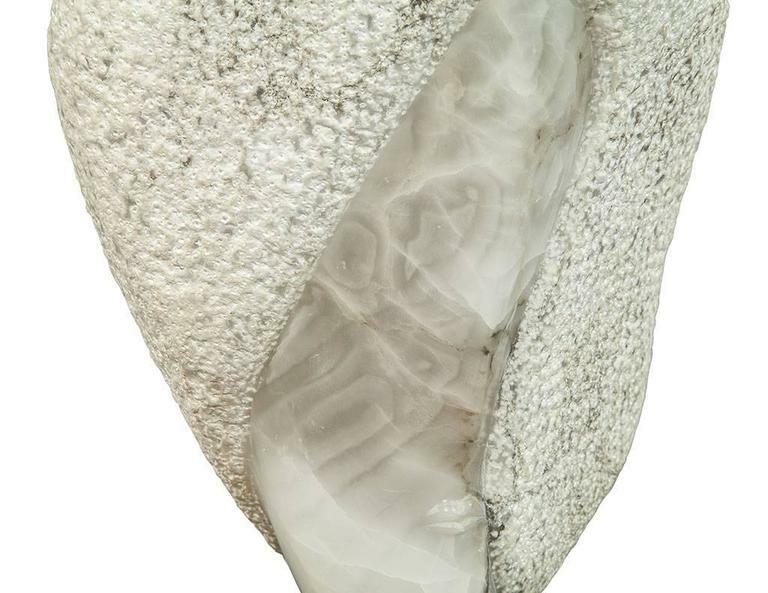 Combination of naturally formed and carved stone sculpture of an abstract head. 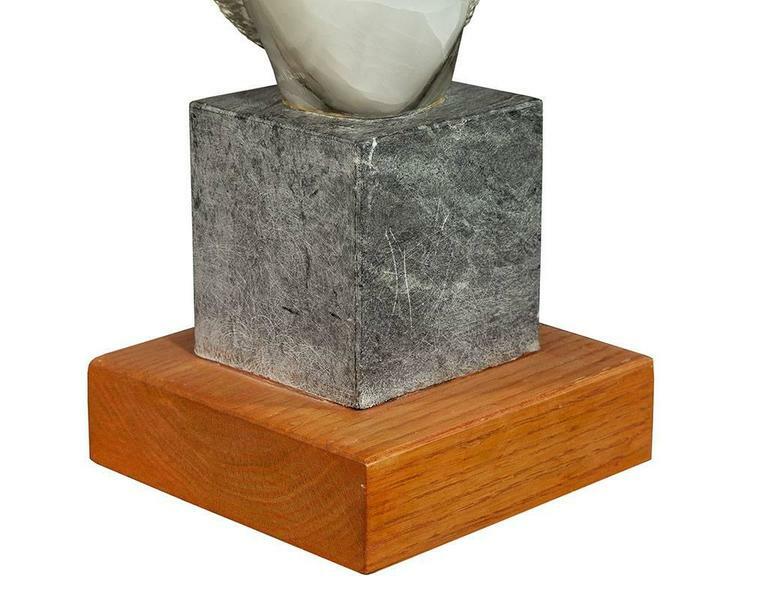 Mounted on a two-tiered soapstone and oak base. 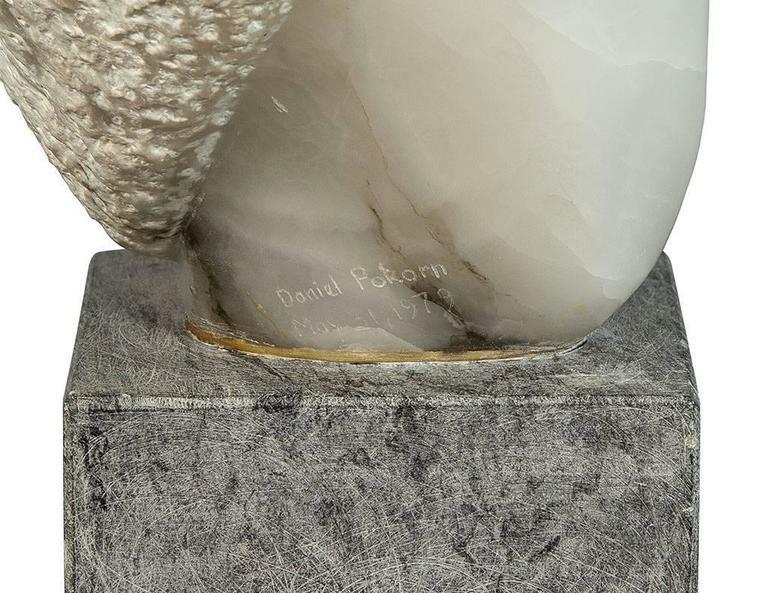 Made by Canadian artist Daniel Pokorn, Signed and dated 1979. 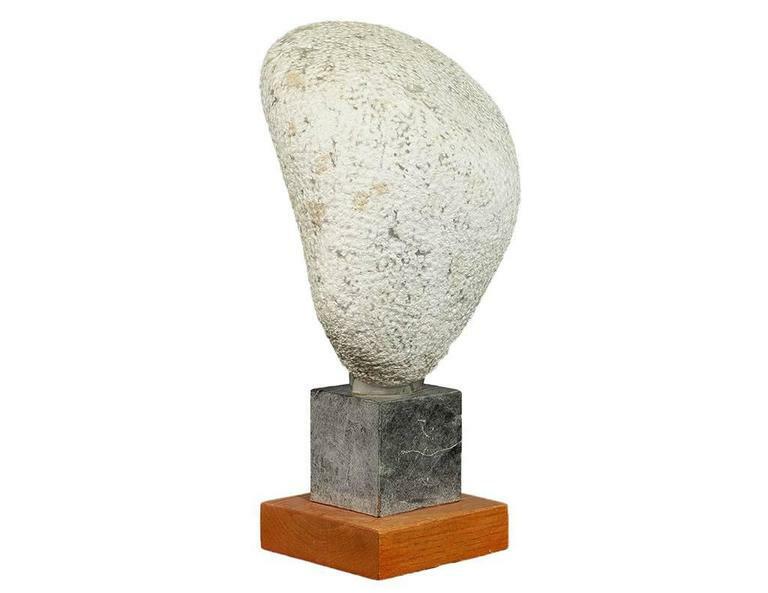 This large, modern sculpture is composed of a single piece of natural rootwood. 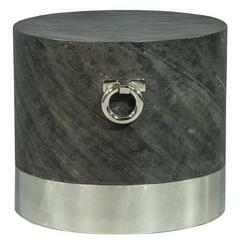 It has been burnished and lacquered, and is perfect for adding some rustic flair to any home. 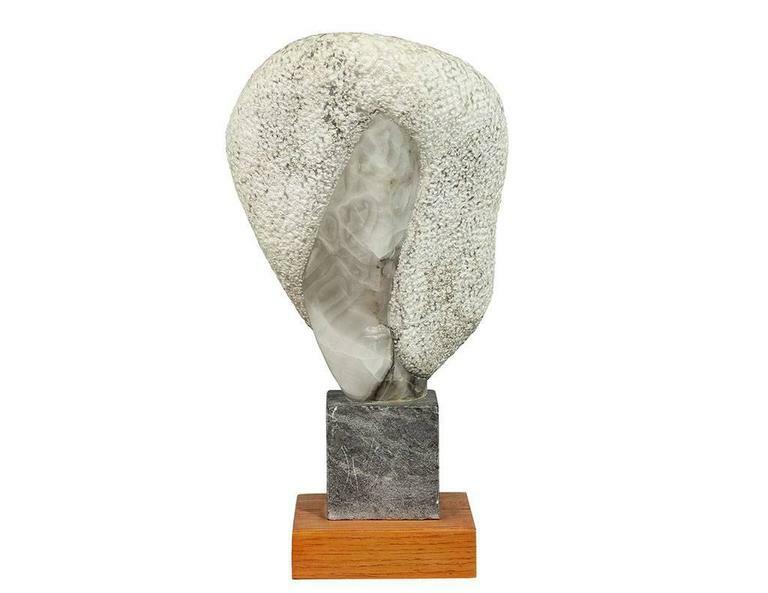 Tribal Alaskan Inuit abstract hand carved stone portrait sculpture depicts woman, 20th century Measures: 20" H x 13" W x 8" D, 6" base diameter. 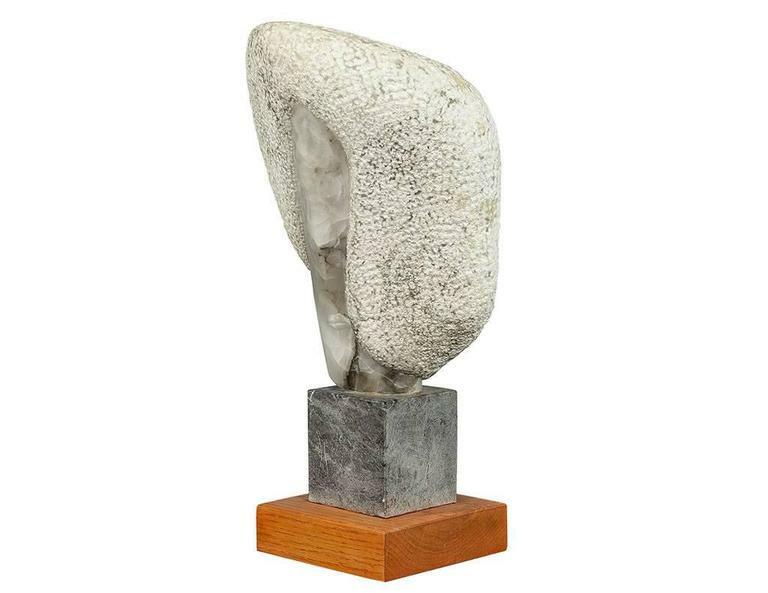 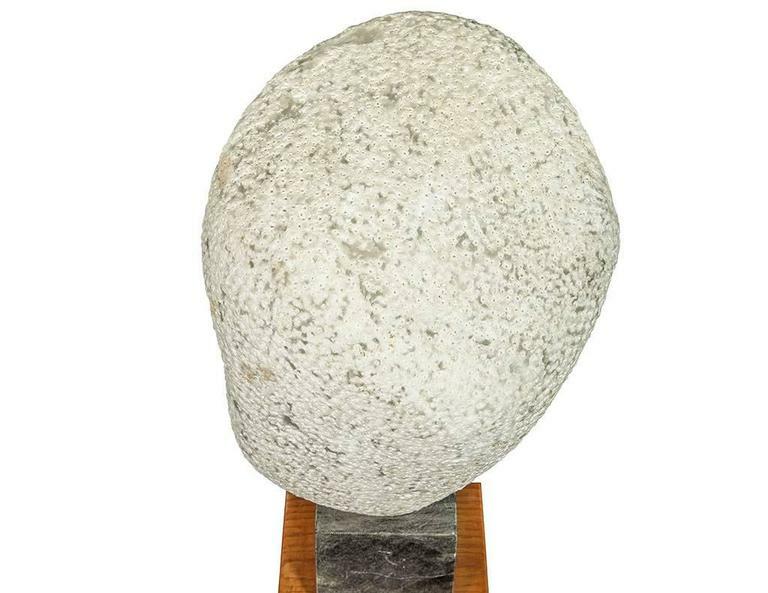 Tribal Alaska Inuit abstract carved stone portrait sculpture depicts stylized face, 20th century Measures: 11" diameter x 5.5" D.
A modernist carved stone sculpture, originating in England, circa 1940.